Depicting a lady meditating in a peaceful lotus position with her palms together and legs crossed, this decorative sculpture evokes the calm and tranquillity of the Far East. The praying lady is poised on top of a decorative ball with swirling circles, giving the zen-like ornament a lovely texture. 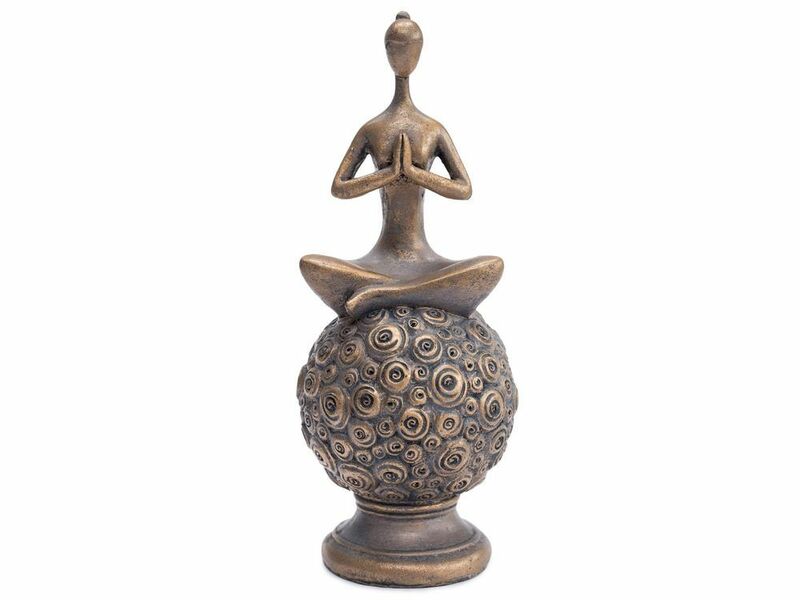 Made from metallic resin, this praying yoga lady sculpture has an aged bronze finish that adds to the overall feeling of calm. A complementing lotus lady is also available in this design, should you wish to create a peaceful pair.